I think i left off my post on the part where i had to overnight at Haneda Airport because all trains are already off duty at 11pm (Japan time). Seriously in Japan, there was never a single day i went about naked face except before i go to sleep lol, makes me wonder how Japanese women keep their skin in such good condition despite having to wear make up everyday. Anyone can answer that please? lol. I woke up early about 8am to get my make up done at the toilet, and have to say i simply LOVE Japan's toilets because in every single one you walk into, they have specific make up section with large mirror & proper lighting to do/ touch up your make up. 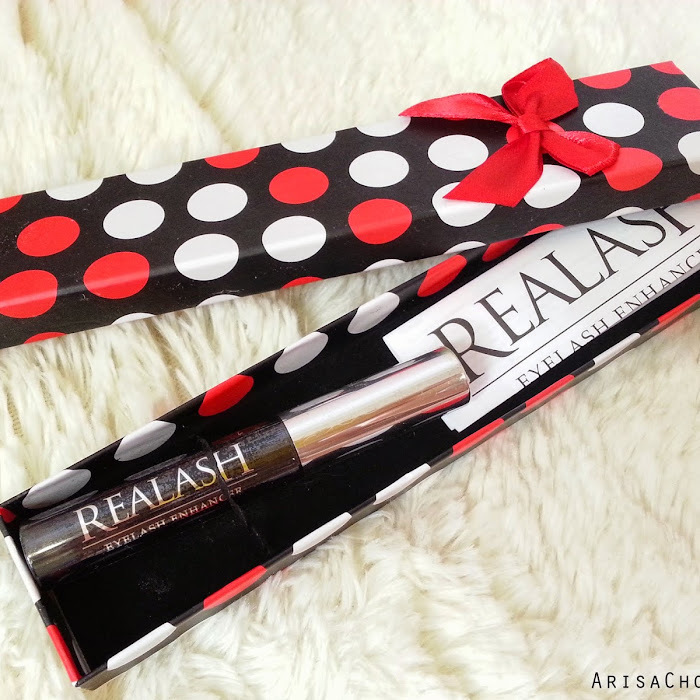 Also some comes with plug point in case you need to curl/ straighten your hair. And you can't exactly get these things done on the spot, needs at least 2-3 days to process but in Haneda airport there is 2 telco centers on the 1st floor that provides on the spot service for portable WiFi, it's just that their rates are higher compared to those pre-booked. Those pre-booked it's usually much cheaper like RM25 a day for unlimited usage. #Tip 1: always APPLY for portable WiFi/ data roaming before travelling. 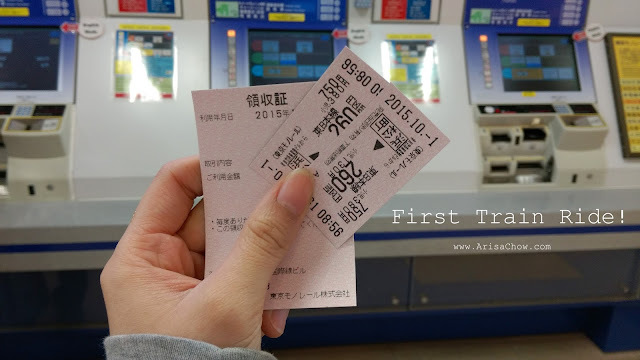 This was the day i took my first ride in their local train to reach Ikebukuro where we booked our dorm stay for 4 days, 3 nights at Sakura Hotel! Need to learn how to read them properly if i do want to survive in this country (someday). Their train system isn't as easy as ours ya! When you hop onto the wrong train it isn't as easy as getting off at the next station and taking the opposite train back to your initial starting point. So if you are a visitor like me make sure to carry a map with you always! It's your frigging bible and your life depends on it (ok, that was pure exaggeration lol). See that circle in the map? That's where all the big main stations are, names listed on the right. 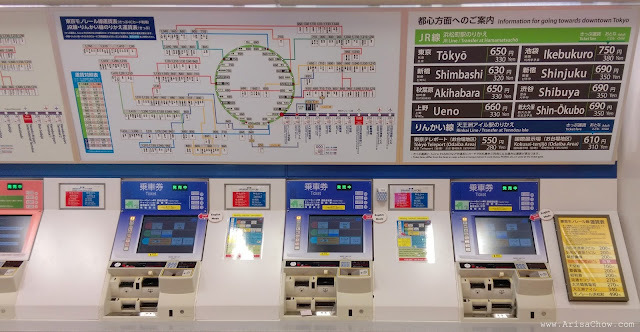 Glad that we chose to stay at Ikebukuro for the first few days for our trip as it was considered quite "centralized" in a sense it's part of the golden circle for those taking the JR line to famous hotspots like Akihabara, Shinjuku, Ueno, Tokyo, Shibuya & etc. It's not as expensive as living near the famous tourist spots and train station (those located 5 mins away from the train is usually more expensive due to convenience). But Sakura Hotel is actually considered quite affordable yet strategic for those planning to just use that dorm to snooze & dump your luggage. It's about a 15 minutes walk to the nearest train station which connects to JR line, Yamanote Line, Saikyo Line, Kawagoe line- Rinkai line. (click to view layout). #Tip 3: Get a Suica Card, as you'll be using the train alot, can be used at certain vending machines too! Make sure to buy a Suica card (Touch N Go) to make commuting hassle free especially skipping the queue at the ticketing machines. They are sold pre-loaded at 1000 ‎¥ credit onwards. 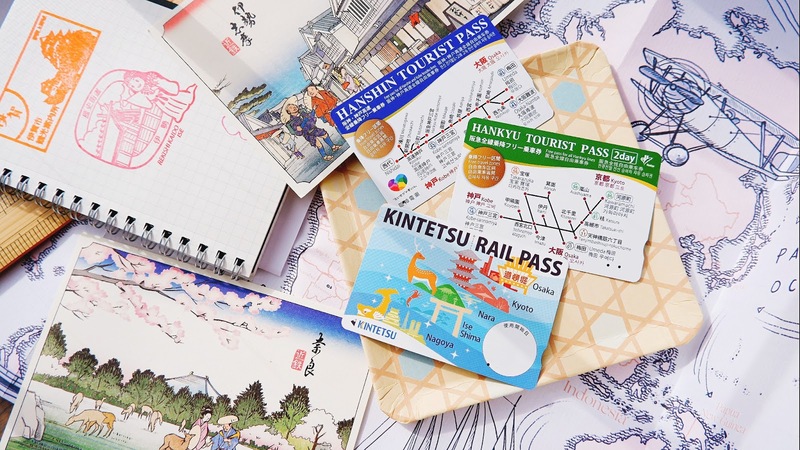 What i did not know is there are specific rail passes for unlimited rides catered for tourists & visitors. But before applying/ purchasing make sure you check out which lines is the card eligible for as each line might have their own individual price packages. 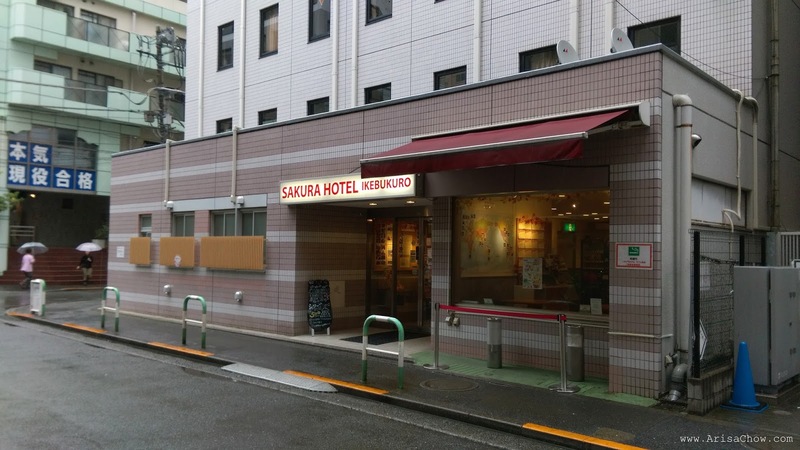 Sakura Hotel wasn't too hard to find (on google) as it's like most westerners favorite place to bunk especially those bag-packing. Standard Check in time is 3pm and check out is at 11am, we arrived way earlier before our check in time but the staffs were nice enough to let us leave our luggage at the lobby area so we can go off to find our lunch before checking in later at 3pm. 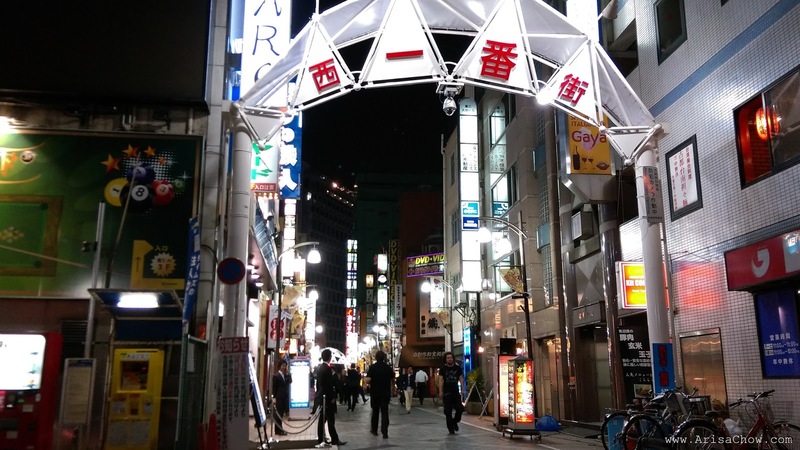 If you are here for a long stay (2-3 months+) you can opt for options like room rental under Sakura Hotel as well, this company is quite big and has many branches all over Tokyo. Feel free to browse through their website or email them to inquire. I found their rates quite reasonable despite being located near to a train station, so if you are just looking for a place to dump your luggage while you enjoy Japan & meet new people the Sakura Hotel is the place to go to. As they sometimes offer great package deals for Flight+ Accommodation compared to buying them separately. 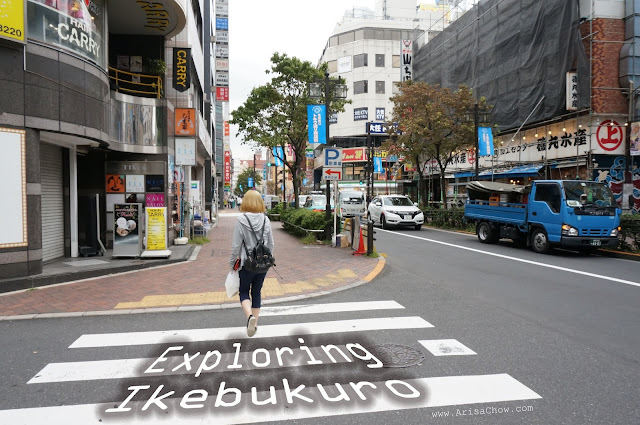 What to do in Ikebukuro? 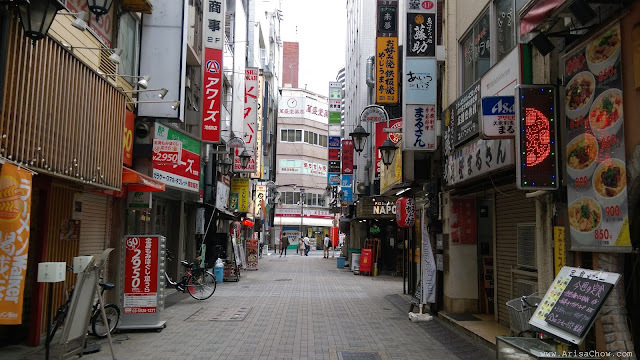 Or you can also aimlessly walk (like i did) around Sunshine 60 road and even get yourself lost in the departmental store at Ikebukuro station itself, who knows you might discover hidden gems. There are so many exits in Japan train stations and every one leads you to a different place, so don't be surprise if you can't seem to find back the same place you came from lol, heard even locals can get themselves lost in train stations because of this. 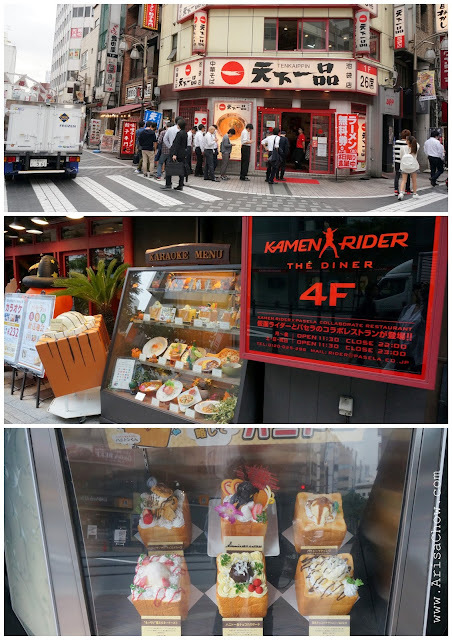 There are 2 departmental stores sandwich between Ikebukuro station- Tobu & Seibu Department store. This is a pharmacy name you should remember as it has one of the biggest branches all around Japan (almost every prefecture, you'll find one). 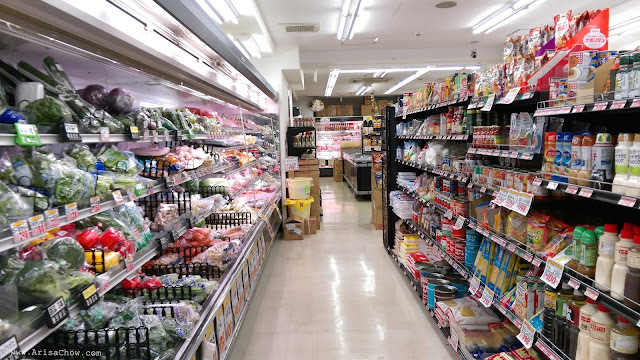 You can find a large variety of Japanese cosmetics, skincare & other beauty stuff in there, seriously girls when you step into this place make sure you don't bring a guy along or he'll die of boredom while you shop. 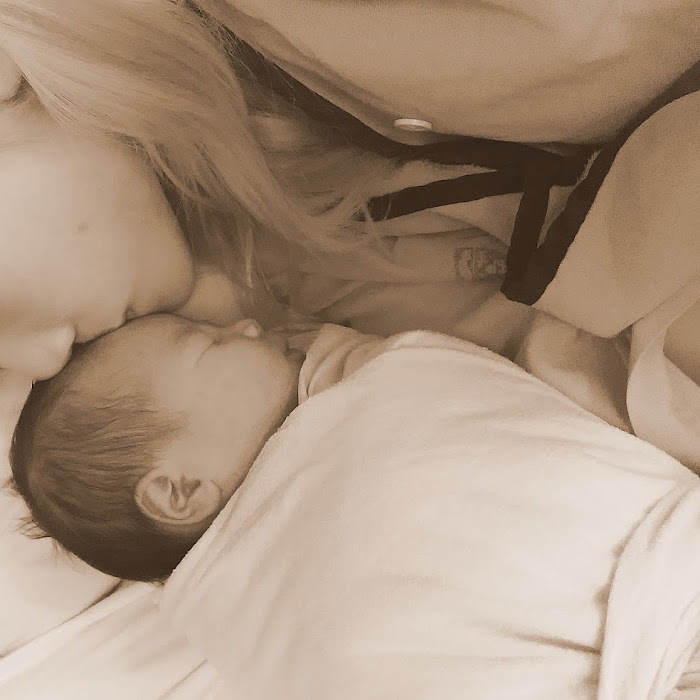 Time flies when you are in here, i'm not kidding! One can't this spoilt for cosmetic choices especially if you are already a Japanese cosmetic user like me. Malaysians called it "mata rambang" because everything pun you mau (want) lol. #Tip 4: Don't have a plan, just walk & explore your area. Who knows you might find interesting hidden gems. You can find Matsuya, Yoshinoya (both gyudon places), Kaen Ikebukuroten, Mutekiya & alot more of them within walking distance in the area. Oh, the area is called Nishi-ikebukuro (similar to a chinatown, petaling street), surrounded with night life (pub, bars, clubs) after the sun sets, Panchiko machines & UFO catchers which is best to stay away as they can get quite addictive! Can say quite happening also la the area. #Tip 5: Set a budget if you want to try Panchiko & UFO catchers, so you don't overspend. 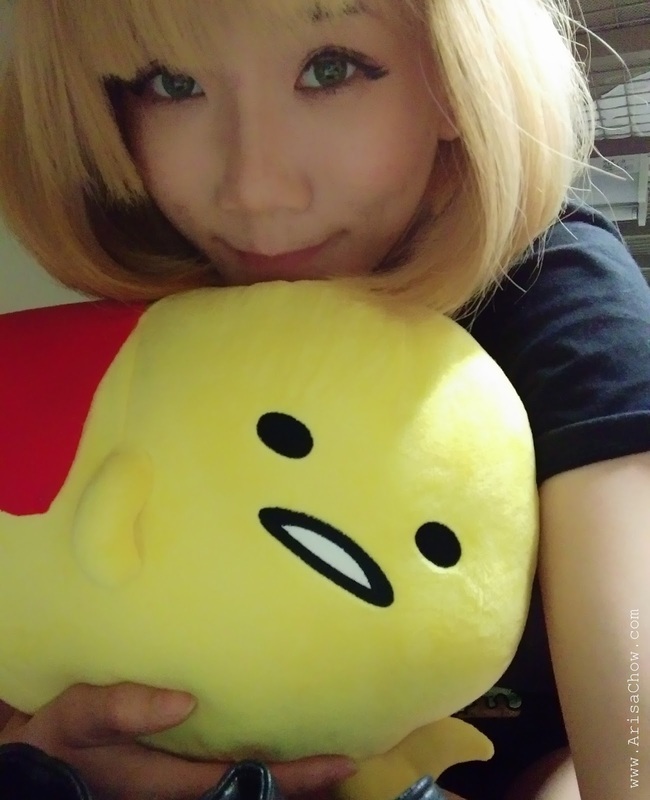 He saw my super amazed face, laughed and just gave me his prize..can't express how touched & embarrassed i was when he did that >/////< Thank you random oji-san *bows*. Yes, i got you gudetama-chan! Okay, enough side track lol now back to Sakura Hotel. As mentioned in my previous blogpost that i didn't know how their dormitory system work and all but soon found out upon checking in that each room has 4 bunk beds that could fit a total of 8 people in a small room lol. The only path in and out of the room is usually crowded with luggages. Imagine the struggle! The only time you'll set foot back into the hotel is usually to dump off your shopping bags or to sleep. But really, if you are travelling alone, this would be a great place to stay in as you get to meet new people from different countries and most of the time all of them speak fluent English! My room mates were from Korean and Norway, not talkative but managed to spend some time getting to learn about their countries. 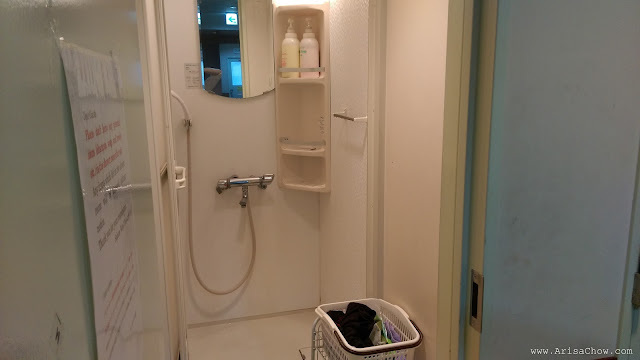 This might look tiny, but then again all Japanese toilet's are small like this lol even the ones with a bathtub are usually smaller than our own house toilets. Basket to put your clothes & shoes, make sure to close the shower area so you don't wet the carpet area and cause a mess. Questions one might usually ask when they are a Dormitory virgin lol. 1. Is it safe to leave our belongings unattended with strangers in the same room? 2. How's the hygine level like since there is so many people cramped in one room. Surprisingly clean, no eating/ smoking allowed in the room and with Japan's current weather (autumn) you wouldn't even need to on the aircond because it's cold. No bed bugs, toilets are washed daily but their staffs. In fact their single beds are spacious, it could easily fit 2 people. 3. I don't speak Japanese, how do i communicate with the Hotel staffs if i need something? Lol, Sakura hotel is considered like an international dorm already with the amount of foreigners from all parts of the world checking in each day. Their staffs speaks very good English & mandarin so don't worry! 4. What is provided when we stay? Well, it isn't a luxury hotel so you'll need your own towel (can rent as well) and toiletries. There is a pantry on each floor well equipped with tableware, plates, cups, oven and a microwave but of course clean up after yourself! If you need ironing board & steam iron you may request from the front desk (G floor) & it's FOC, just return after use. 5. Are there any In-house rules we should know of? Yes, please don't be a slob as you are living with others. Try to keep your space tidy and don't hog other's space (especially your luggage). Switch off anything electrical after using including toilet lights and last of all before you leave bring down your bedsheets with you for washing, they have baskets for you to dump them in. If you are a light sleeper, bring an eye mask and earplugs as you might have room mates walking in and out on ungodly hours or early mornings. Don't spend more than 10 minutes in the shower, please be considerate. Sakura Hotel has their own 24hr Cafe right oposite their hotel. One thing i noticed in Japan, you'll never go hungry nor thirsty. Konbini-s (convenience store) here are 24 hours, vending machine every few steps and perks staying at Sakura Hotel is that they have their very own 24 hour cafe just right opposite building. They serve all kinds of dishes ranging from western to asian, they also serve alcoholic beverages and have decent WiFi connection in the cafe. You can get the passwords from the cashier counter or just ask the staffs. 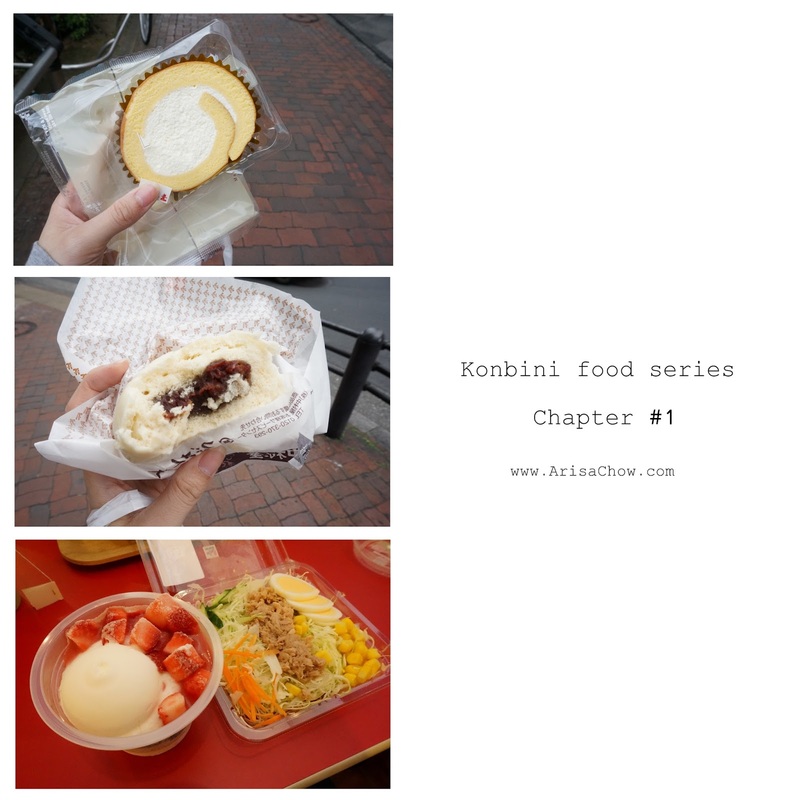 Maybe i should make an album dedicated specially to all the amazing konbini food i had on this trip lol XD seriously eating at a restaurant is expensive meanwhile in a konbini, 1000 ‎¥ can easily feed 2 people and all sorts of delicious fresh/ packet foods too! The swiss roll (top) is one of the best, fresh & fluffy cakes i had so far! Pau in Japan is also different from the chinese steamed pau lol, here they used rice flour if i am not mistaken so the texture is more tougher than the usual fluffy steamed pau-s.
One of the mini supermarkets we found nearby while randomly having our night walk. 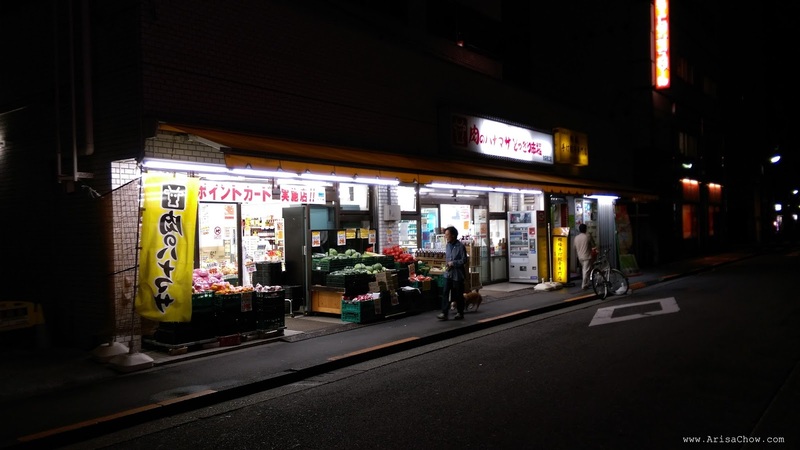 So if you want to buy ingredients to cook back at the dorm you can get them all fresh here! Cooking & eating utensils are all provided back in Sakura Hotel, just clean them up after using. Tell me how not to be tempted with this supermarket, my inner aunty self already planning what to buy & cook for the next day lolol. Seriously, their fresh produce here like vegetables/ meats are cheap & FRESHER looking that ours back in Malaysia even after 11pm =.= what sorcery is this! 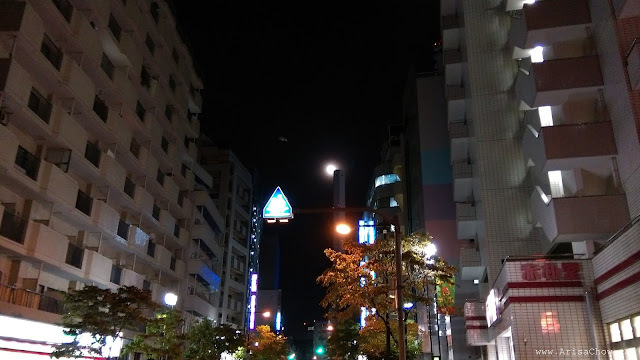 Hope you guys will have a pleasant stay with Sakura Hotel like i did if you do ever visit Ikebukuro! Their trains are so well maintained and punctual, if there are delays it would be announced repeatedly not with machines but with staffs who are on the floor trying to regulate the crowd in an orderly manner. Anyway it's also super obvious when a train is down as the platforms will be crowded to the brim lol, this is a fast paced country and if one thing stops humans will overflow (scary sial). And the usual courtesy we try to practice of giving seats to the elderly/ pregnant/ kids but in Japan it is not a common practice which boggles my mind alot to see that kind of scenario. To the locals it might be a common sight, but for us foreigners it is indeed a culture shock lol. 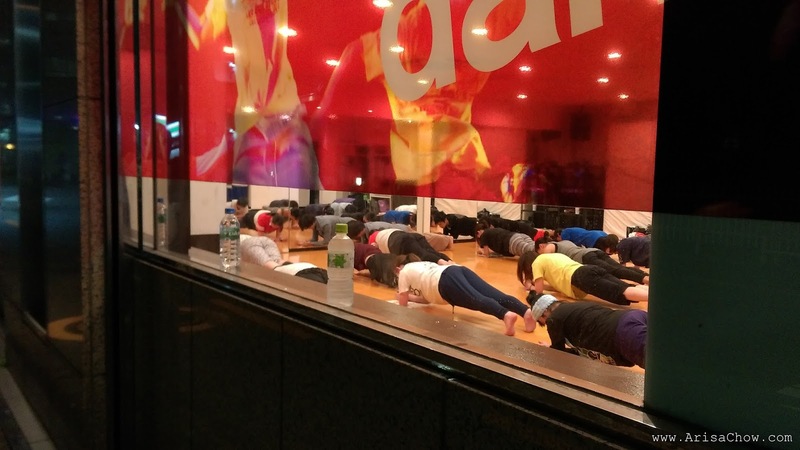 No wonder Japanese people so slim, after walking so much still have yoga classes at night! Wonder how they do it, i felt like dying every night after a whole day of walking, can't even imagine doing anymore exercise after that. Explains why i loss 2 kg, muscle loss lol. It's also a common sight to see locals jog/ run at 10-11pm. lovely write up! well said..if you don't have plan just walk around you will discover very interesting place. I wanna go Japan again!~ So nice! Wanna visit Japan. Nice post. Thanks for sharing. 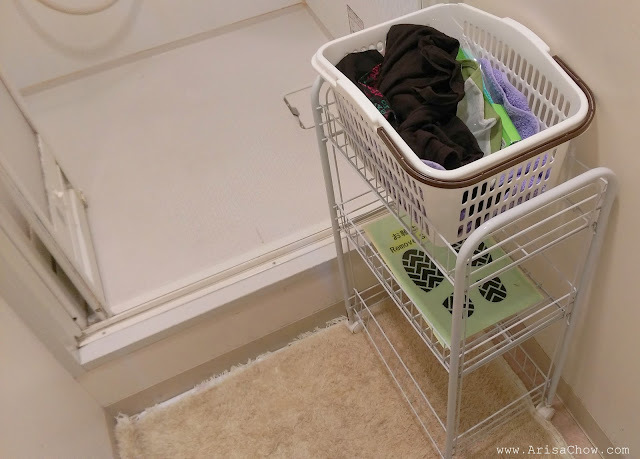 good idea on having a basket so that don't wet the clothes. Never been to Japan, hope to go some day. Thanks for sharing about your Japan travel tales. I can't wait to go there myself! thank renae^^ yea, sometimes we just gotta go with the flow! *high 5* glad you find them useful babe :) can't wait to read about your taiwan trip! Wow this is a very good blog post Arisa! Lot's of learning tips from experience! Japan really a nice place to visit. I like Japan so much. YES! everyone who visited the place loves it! awww *hugs* im sure one day you will see this beautiful country with your very own eyes :) have hope! Tks for the tips. Helps a lot when planning my trip. 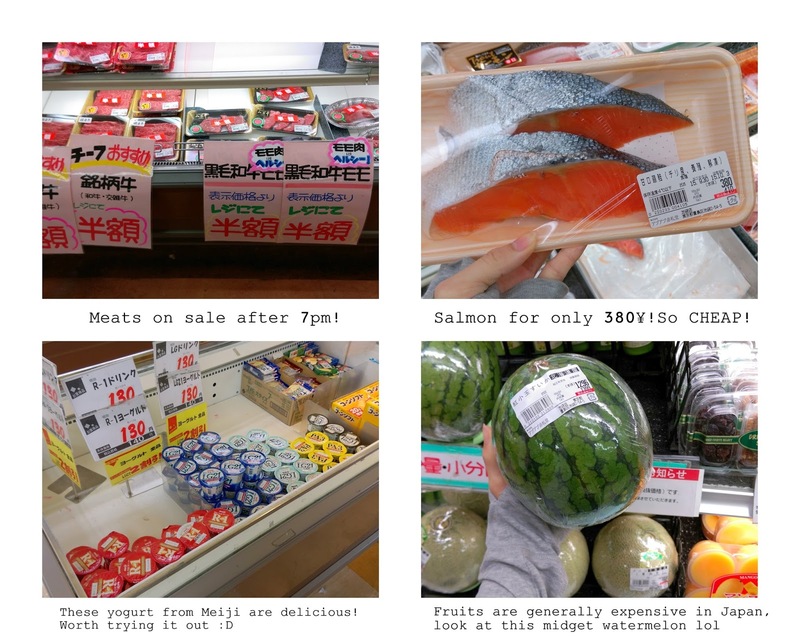 Am really glad to enjoyed reading my super duper long post lol, wish i could travel to Japan more often though! so nice can go Japan, you really fit in there, don't want to move there ?